By default CM1 does not include file extensions on published pages. It is possible to publish to both IIS and Apache without needing to add file extensions, however there is a some configuration required to ensure the pages are served correctly. 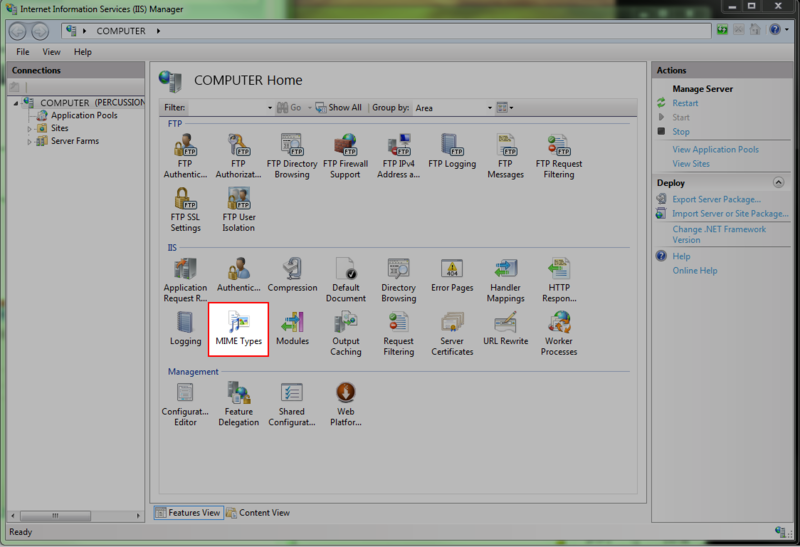 In the IIS Manager Home Window, double-click on the MIME Types icon. 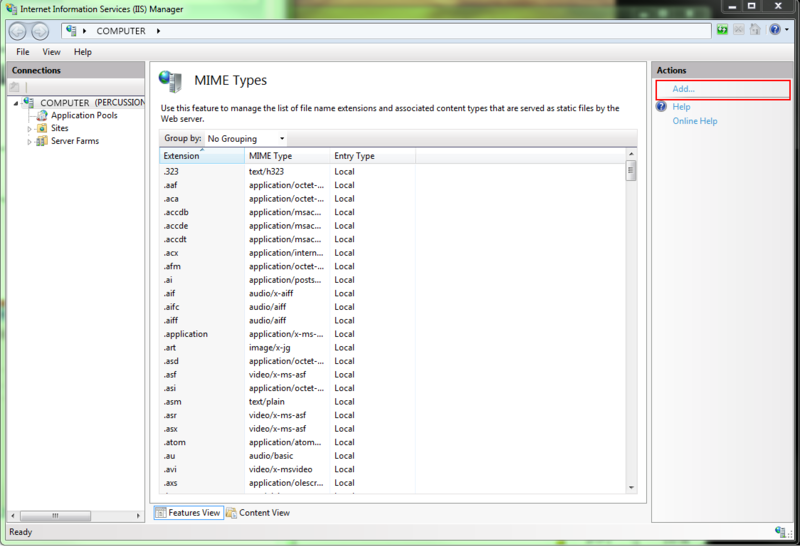 Within the Actions frame of the MIME Types window, click on the Add… link. 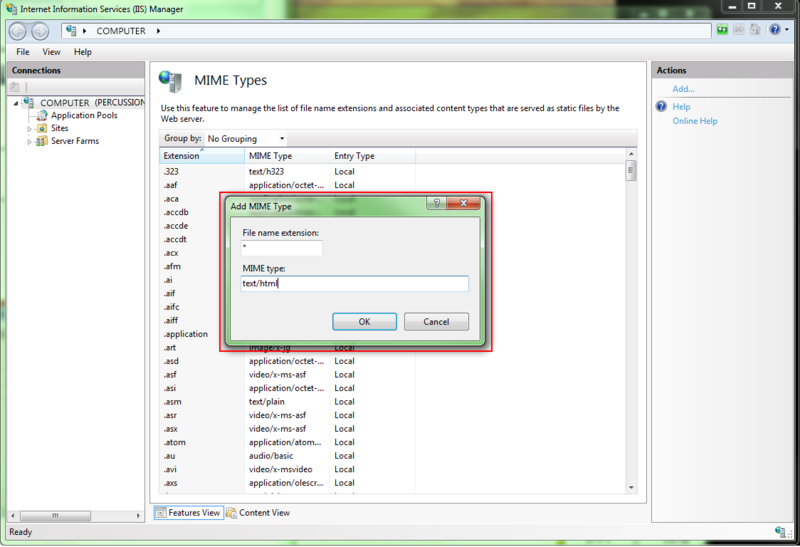 Use "*" (without the quotes) for the File name extension and text/html for the MIME type in the Add MIME Type window. Then click the OK button. Note: If you're running IIS 7.5 or later, you will instead want to use "." (without the quotes) as your file name extension. Make sure to clear your browser cache before viewing pages again. Edit the Apache config file. It is located in /etc/apache2/apache2.conf. Set the default MIME type to text/html. Start the Apache Server back up.